It’s never a good idea to put off required treatment — whether it’s getting a prescription from your family doctor, or addressing a decayed or damaged tooth with your dentist. If you suspect you have an injured, decayed, or damaged tooth, it’s important to call Kipling Queensway Mall Dental right away to schedule a dental restoration appointment. Ignoring a potentially decayed tooth could be very unhealthy, as decay can spread and wreck havoc on your smile. Something that could have been fixed with a simple cavity could wind up requiring your entire tooth to be extracted. Why go through that when it could be avoided? 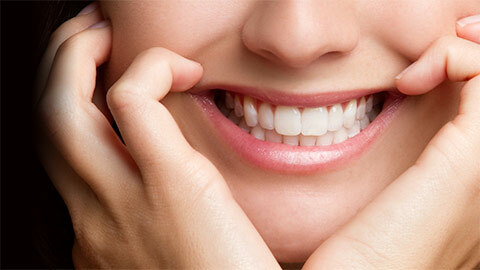 Come into Kipling Queensway Mall Dental in Etobicoke for dental restoration work as soon as you suspect a problem. We even offer emergency dental appointments. A cavity is a tiny hole in the enamel (top layer) of your tooth. We’re able to fix cavities by removing the decayed section and replacing it with a filling (which is made from metal, acrylic or porcelain). Teeth that already have several fillings -- or teeth that are very decayed -- may require crowns. These are made from gold, porcelain fused to metal, or pure white porcelain, and they simply cover (or “cap”) your existing tooth. Damage to the biting surface of your tooth can be repaired by using an inlay. Made from porcelain, an inlay matches the colour of your tooth and is very strong. It’s similar to a filling, and is neatly placed inside the cavity and cemented in place. An onlay is similar to an inlay, except it involves more substantial reconstruction of your tooth, and it covers one or more cusps. 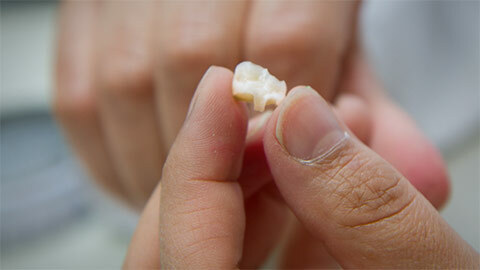 You dentist may suggest an onlay, rather than a crown, because more of the tooth structure can be conserved. If you need to have a tooth extracted, we can replace the missing tooth with an artificial tooth that connects to the two surrounding teeth. It’s called a bridge, and it gives you the appearance of having a real tooth in the missing spot. However, we always do everything in our power to allow our patients to maintain their natural teeth. To learn more about dental restoration work, or to schedule an appointment with our team, call Kipling Queensway Mall Dental today.